I do not know how Good Sams Club determines the guidelines of their ratings but in our opinion this campground is far from 10/10/10. We did not use the restrooms but our site was backed up right on top of one (great view ugh). Site was level and the staff when calling to make reservations and at check in were very nice. The entire campground is tiered, uphill, uphill, uphill. Nothing attractive about this park. For the price, we were not impressed. Seems a bit rustic for our liking and rated as a 10/10/10 location. Internet worked good, sites are rock and un level. Staff very friendly and 70 mile drive to the city sites. 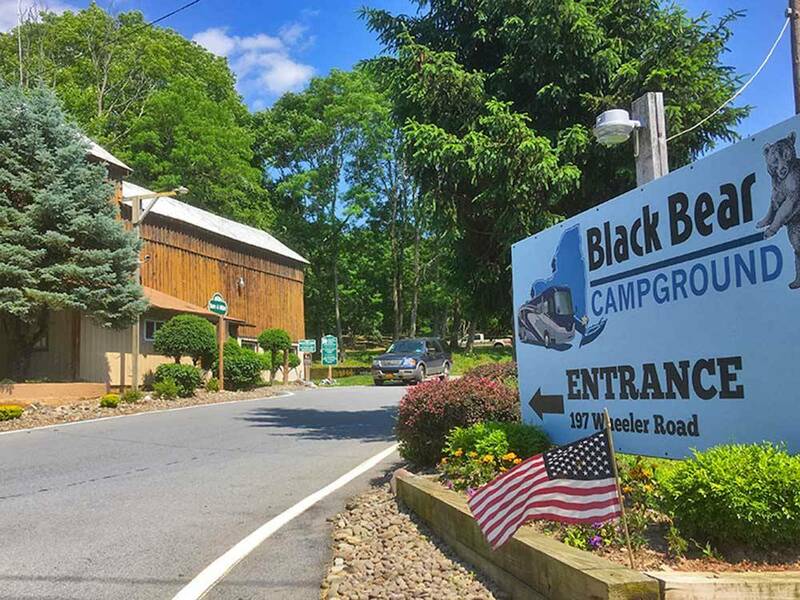 We were just driving through and this campground was fine for our needs. It's a little tricky getting to it, but the staff was extremely helpful giving us directions. 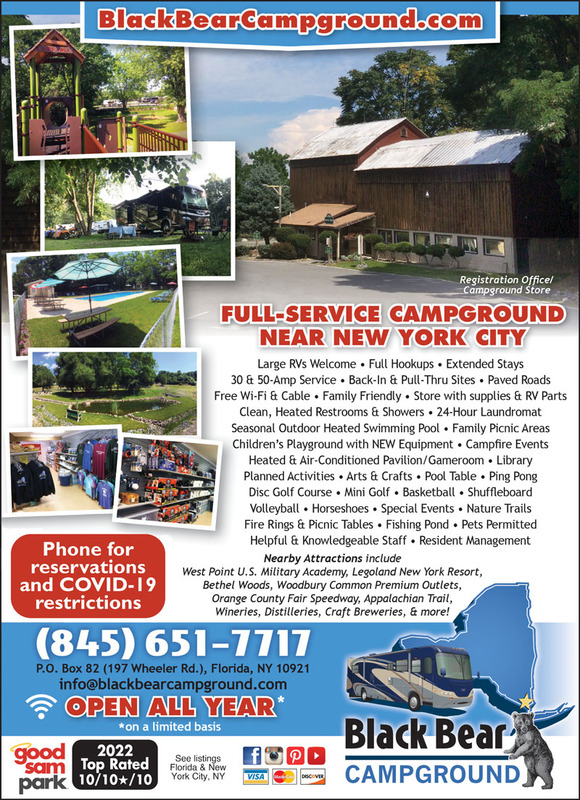 However, this campground is over-priced compared to others that have way more amenities and better layouts. This campground is very old and does not have the qualities I expect in a ten star rating. We were given a site next to a construction field. Very old campers as seasonals around us. Pool was closed when it was 90 degrees out. No grass, fire rings dirty. Saw no one for three days in our area. Left a day early - lost our money. Worth it to find a better place. Picked this place because of their website and proximity to NYC. Very surprised to find there was a half mile hike up a steep road to get to the showers, laundry and bathrooms from the pull-through site they placed me. For $80/night this place is not what I expected. Decided to stay only one night.